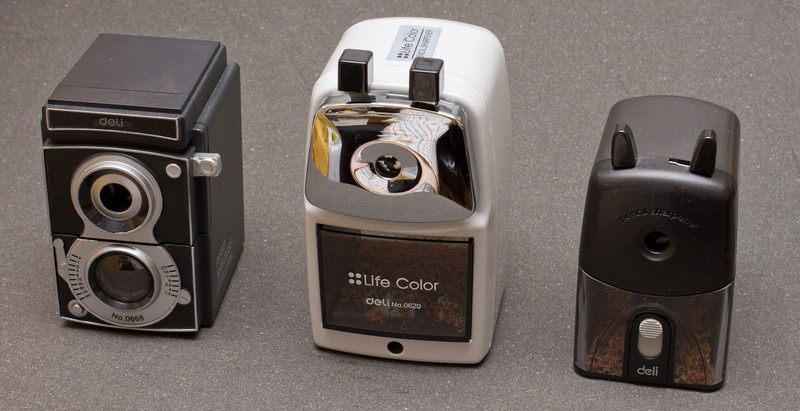 If you’ve followed my blog for a while you might have noticed that I’m fond of Deli’s crank sharpeners, particularly the Deli 0635. It’s nice to see that the quality of the Deli seems to be good enough for the big and well-established brands, too. 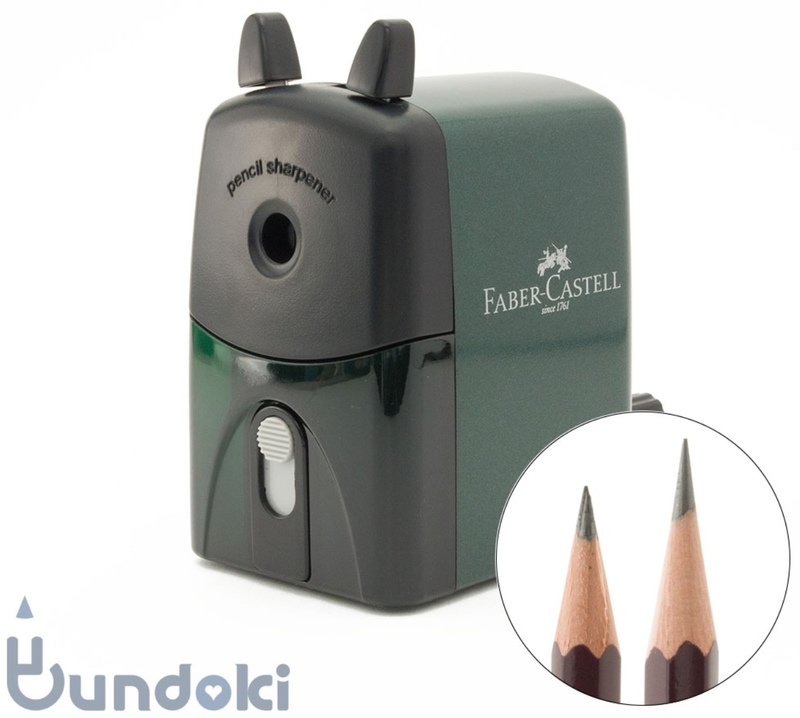 Faber-Castell offers a sharpener, the 952500, that seems to be a Deli 0635 in disguise. Koh-I-Noor, too, picked a Deli as an addition to their line: the 0668, but they call it the 9095. The 0668 has been resold by a few other companies, too, including Kikkerland. 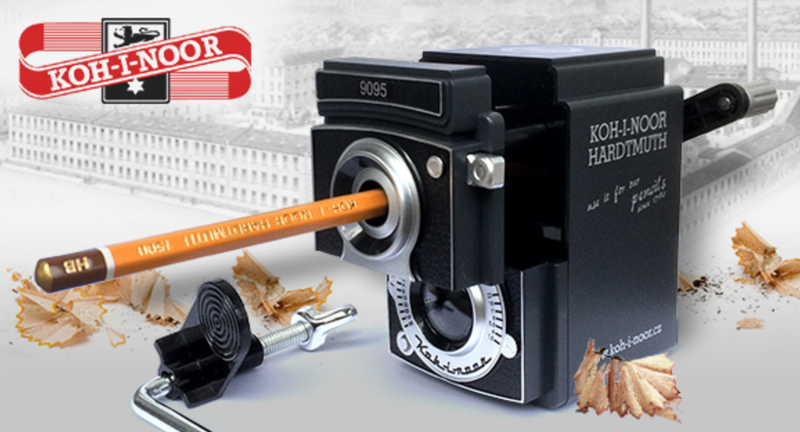 Here’s are the Delis used by Faber-Castell and Koh-I-Noor in their ‘Deli looks’. The photo is from a previous blog post. Left to right: 0668, 0620, 0635. If you are interested in finding out more about the Delis have a look at other blog posts in the Deli category. I would like to thank Gunther for telling me about the Faber-Castell 952500. The images in this blog post have been taken from Bundoki and ZC77. I believe that the use of the images shown in this blog post falls under “fair dealing” as described by the UK Copyright service. Kiwi-d, I couldn’t resist 😜 ..but didn’t think anyone would notice the picture subtitle.